In the Farringdon area of London, with its many bars, clubs and restaurants, Seema Tandoori is a breath of fresh air: an unpretentious, warmly welcoming and comfortable Indian restaurant without a single gimmick to draw you in. The management's aim at Seema Tandoori is to provide the guest with a memorable evening filled with great food and friendly service. Beneath exposed brick arches in a relaxed, cosy space, Seema's guests are treated to a blend of traditionally authentic dishes and imaginative fusion flavours. The kitchen is focused on the quality of ingredients used in their menu, ignoring artificial flavourings and colours, leaving out unnecessary additives and insisting on high quality, fresh ingredients. With a faithful crowd of regulars from the local area, the team at Seema Tandoori never forget that the customer is king, and with that in mind guests enjoy an always great dining experience at an affordable price, whether ordering a quick lunch or a leisurely dinner. Seema Tandoori gyms, sporting activities, health & beauty and fitness. The best pubs near London Seema Tandoori. Seema Tandoori clubs, bars, cabaret nights, casinos and interesting nightlife. 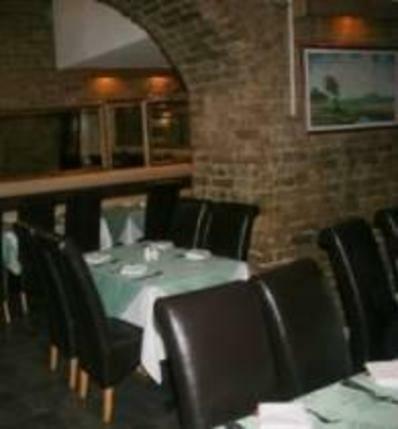 Where to have your meeting, conference, exhibition, private dining or training course near Seema Tandoori. From cheap budget hotels to luxury 5 star hotels see our deals for Seema Tandoori hotels, including Crowne Plaza London The City from 77% off.